The creator of THE ERIC KADE JOURNEYS and the TALES OF BISHOP’S ISLAND novel series invites readers to discover the exciting new adventure DESCENT! Jason Garrett’s latest mystery brings together characters from both series and unlocks a secret from the fabled past of Bishop’s Island. The eighth of May was a life-changing moment for two women on the island. For Nickel Warren (Homecoming), it marked the day her husband died and she was arrested as a smuggler. For Aryn Rayburn (Pursuit), it was the day her grandfather died in a tragic bridge collapse. Having served her time, Nickel has sought an opportunity to heal from personal setbacks and discover a new purpose in life. Meanwhile, Aryn has become a renowned historian, inspired by her grandfather’s career as the first journalist on Bishop’s Island. On the anniversary of these two life-changing events, Nickel and Aryn will cross paths for the first time. When a rival from Nickel’s past is found murdered, investigators discover the remains of a second body near the unconventional crime scene—off the shore of Bishop’s Island at Caper Lighthouse. Given her knowledge of local history, Aryn is asked to piece together three clues that may help uncover what happened to the unidentified victim. When the evidence contradicts what Aryn knows about the island, she becomes determined to solve the lighthouse mystery. Only after seeking Nickel’s help does she establish a connection between the two cases. In search of an object referred to as The Parcel, and with a murderer with unfinished business on their trail, the adventure for these women really begins! 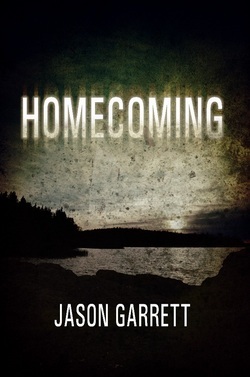 In the follow-up to his novel Homecoming, Jason Garrett leads readers back to Bishop's Island, as the journey of Eric Kade continues with THE WINTER WAR! Eric Kade, Dacey Huxley and Johnny McClary were once inseparable and known collectively as "The Three" - a legendary trio of demon hunters. Across continents they battled some of the worst demonic threats ever recorded and emerged victorious - unstoppable even. At the height of their success they commanded more than five hundred hunters, called The Progeny, all in the name of one man: The Father. But as the bond between this trinity had eroded, whispers of dissension grew loud enough to reach The Father's ear until he announced a prophecy boasting that only he had the power to stop an inevitable war between The Three. While Dacey had remained devoted to The Father, Johnny had disappeared into the darkness and Eric had been pronounced the true enemy of The Progeny, for reasons known only to a few. Fleeing to his childhood home on Bishop's Island, Eric attempted to live a life of peace as a preacher, reuniting with his former girlfriend, Nickel Warren, and dedicating his life to protecting the people he loves from the darkness of The Progeny. As the year draws to a close Dacey, Johnny and Eric meet again on Bishop's Island in an effort to settle old scores and forge a new destiny. But with old loyalties damaged and a new alliance difficult, the collision of The Three could well mark the start of war on an unsuspecting battlefield. Now, three days before the dawning of a new year, the worlds of the former team will collide once more and the battlefield is a place called Bishop's Island. 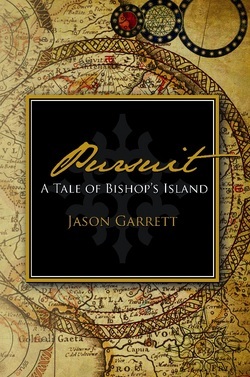 Jason Garrett is the author of Pursuit: A Tale of Bishop's Island and Homecoming, the story which introduced readers to Eric Kade. What would you do for the person you love? 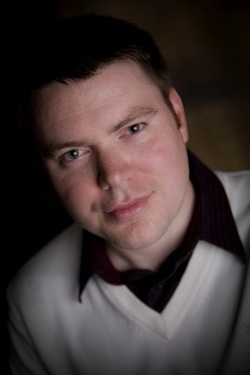 That is the question Ryan Rayburn faces after his wife, Aryn, is abducted. Turning his back on what he believes, Ryan clings to the idea that he can right the wrongs of his tragic past with one brave and dangerous act. A clue Aryn left behind sends him on a desperate journey across Bishop’s Island to save her. Few know the legends of Bishop’s Island better than historian Aryn Rayburn. Since its settlement, Bishop’s Island has been shrouded in secrecy. Nathaniel Bishop built his empire in the Pacific Northwest on stolen Civil War gold and the oppression of his fellow islanders. Three heroes led an uprising that brought Bishop and his henchmen to justice, but the gold was never recovered. For six generations since, the citizens of the island have tried to bury their beginnings, yet the bloodlines of the first epoch have remained interconnected. As a descendent of one of the families responsible for overthrowing Bishop, Aryn learns that her abduction is connected to the very secrets on which the island was founded. Her knowledge makes her the perfect key to finding Bishop’s gold and solving the mystery behind a bridge collapse the day she was born. Relying on remarkable intelligence and the faith that led her through great trial, Aryn risks her life to protect a secret that, if revealed, could prove catastrophic to those she loves the most, especially Ryan.